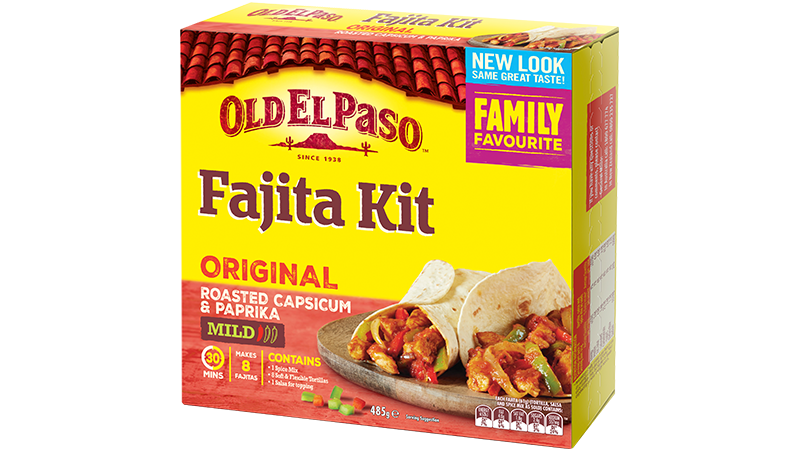 This Old El Paso™ recipe makes 8 sizzling beef fajitas using our Fajita Kit with onion and capsicum. It’s a Mexican delight that you can make for lunch or dinner. Preheat BBQ. Place truss tomatoes on open grill and blacken. Toss Fajita Seasoning with oil and beef. Cook half the beef for 4 minutes until browned. Repeat with remaining beef. Add onion, capsicum, cook a further minute. Squeeze over lime juice. Cook capsicums on a separate part of the BBQ, combine with tomatoes, honey and 2 teaspoons of lime juice to create a salsa. 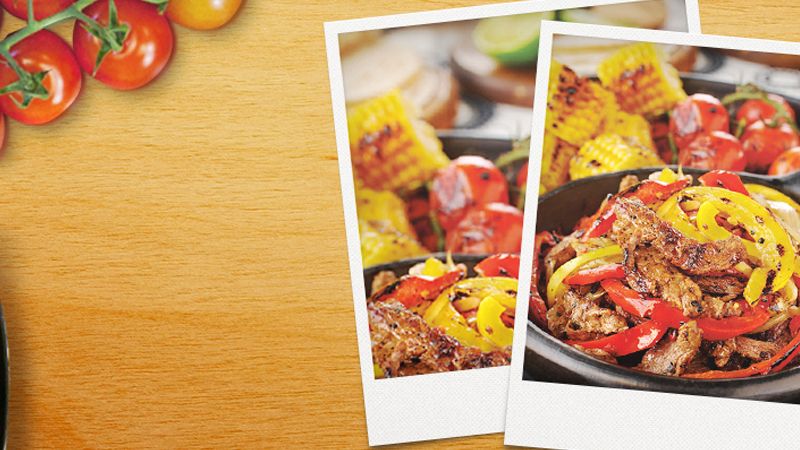 Serve warm Tortillas topped with beef, onion, capsicum and salsa and let everyone build their own Fajitas!